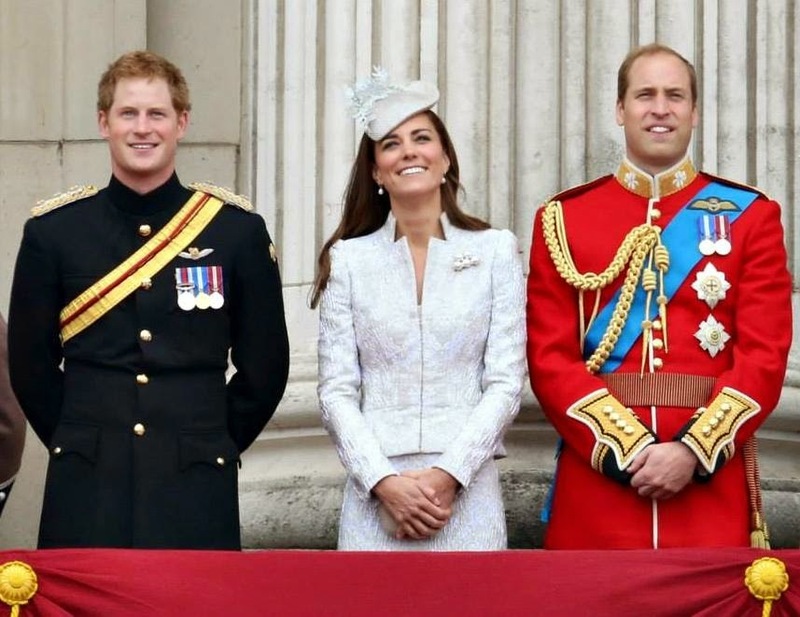 Georgia Papadon: London- 2014 Trooping the Colour, by Classy & Fabulous...! 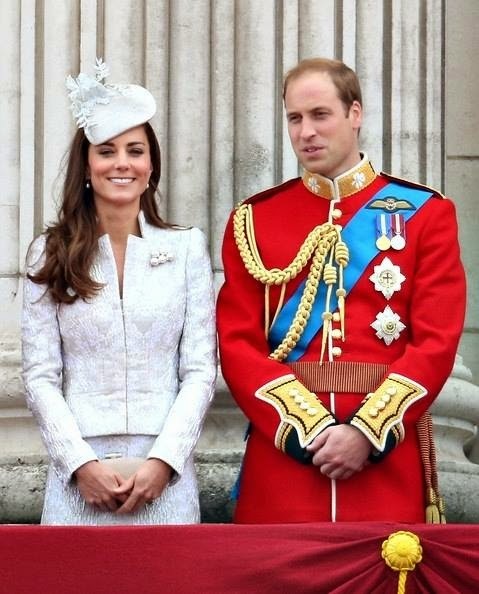 London- 2014 Trooping the Colour, by Classy & Fabulous...! 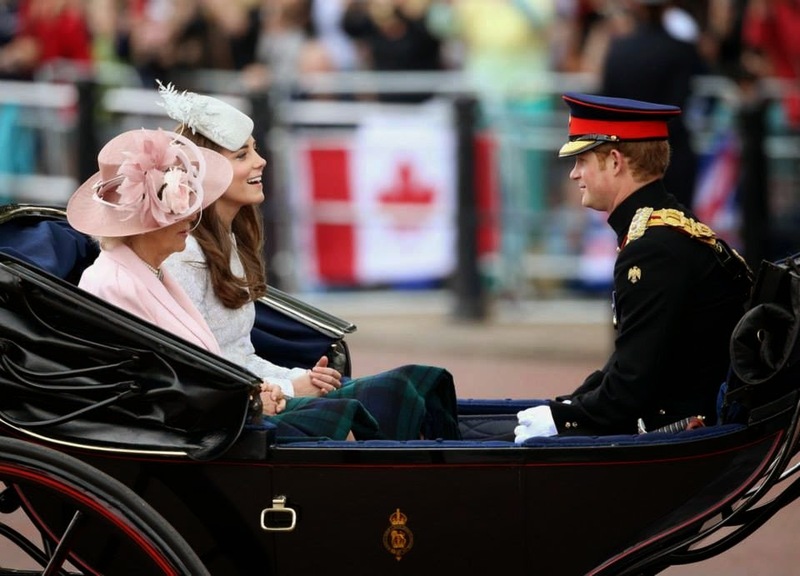 On Saturday, June 14, 2014, the annual Trooping the Colourmilitary parade was held to honor the Queen's birthday. 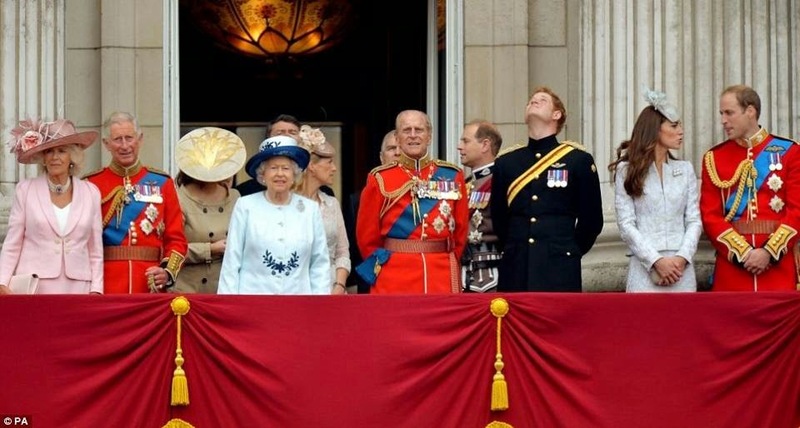 Her Majesty's birthday is actually April 21, but it has long been a tradition to publicly celebrate her birthday on a day in the summer, when good weather is more likely. 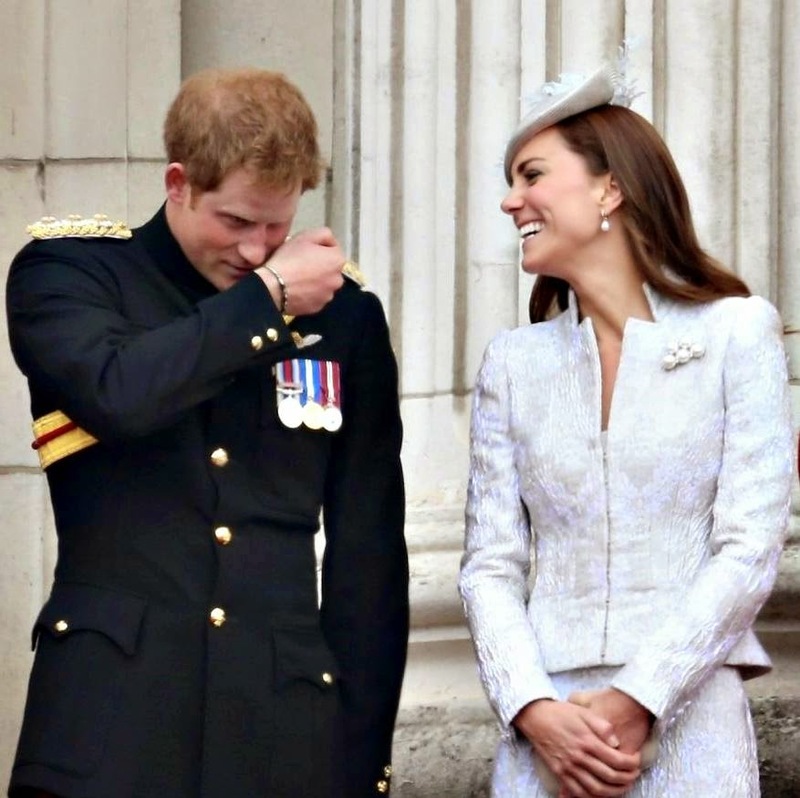 The military ceremony dates back to 1748 when the colours (flags) of the battalion were carried ("trooped") down the ranks so that they could be seen and recognized by the soldiers. Over 1400 officers are on parade, together with 200 horses and over 500 band members and drum corps. 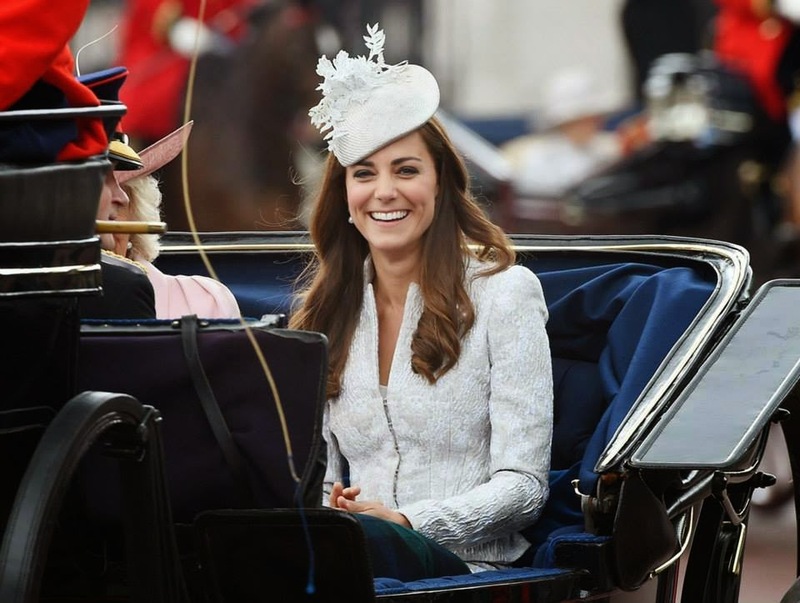 The parade route extends from Buckingham Palace along The Mall to Horse Guards Parade, Whitehall and back again. 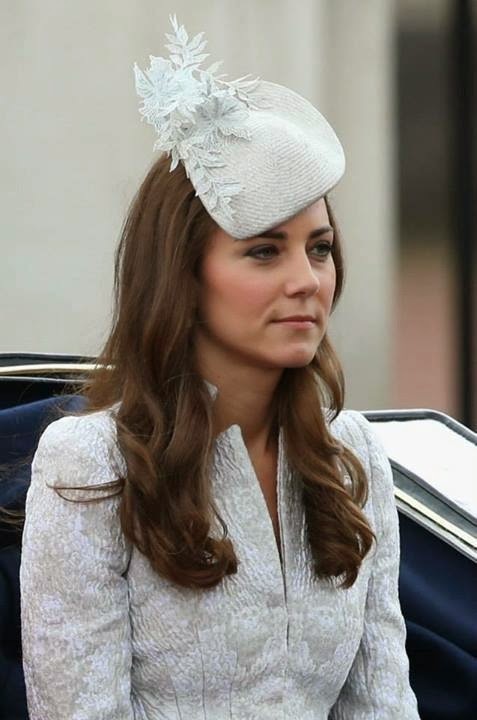 Kate is wearing a new light blue coat-dress by Alexander McQueen and a new hat by Jane Taylor Millinery. 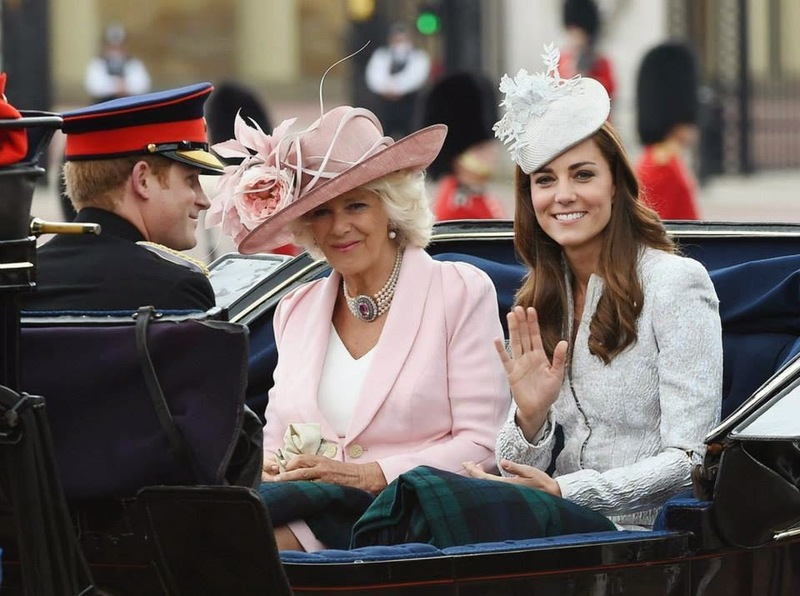 The Duchess of Cornwall and the Duchess of Cambridge, covered with tartan blankets, waving to the crowds as they arrive by carriage for the annual Trooping the Colour parade. 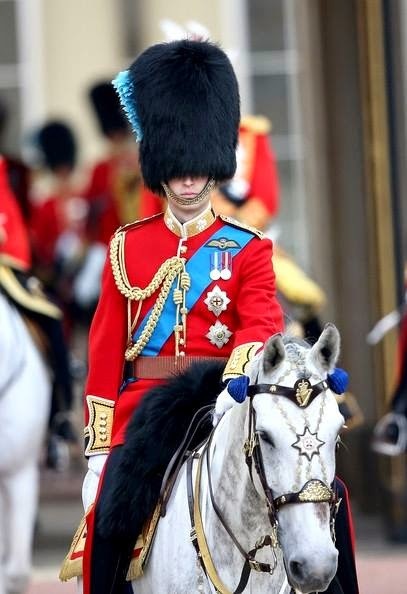 Prince William on horseback during the Trooping of the Colour parade. 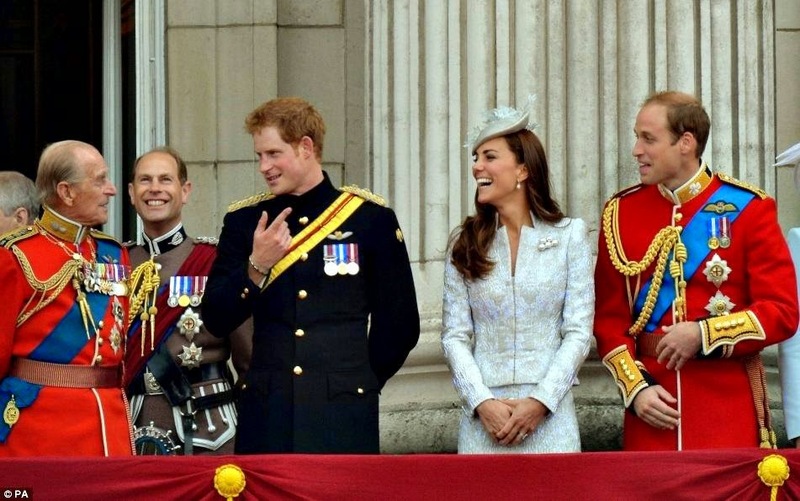 Prince Philip, Prince Harry, the Duchess of Cambridge and Prince William on a Buckingham Palace balcony during the Trooping the Colour parade. 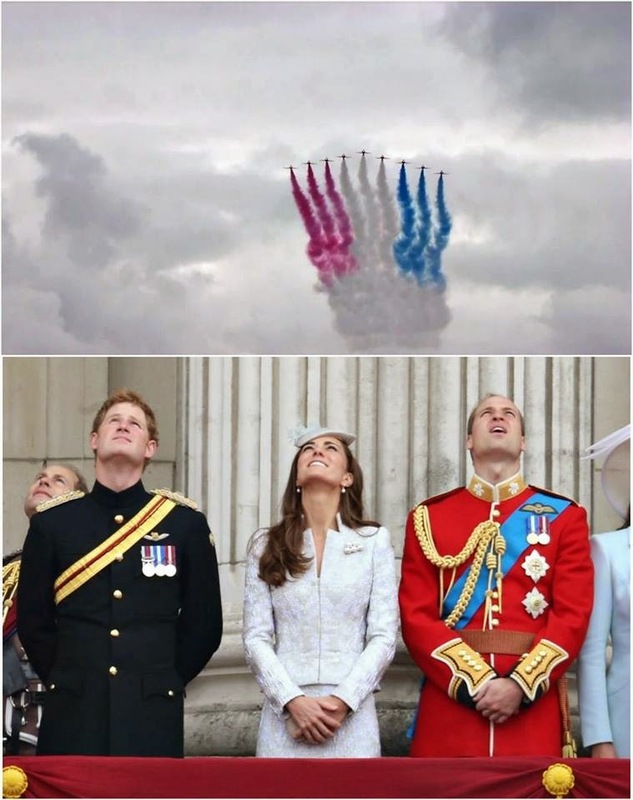 Prince Harry, the Duchess of Cambridge and Prince William watching a Royal Air Force flyover during the annual Trooping the Colour ceremony.